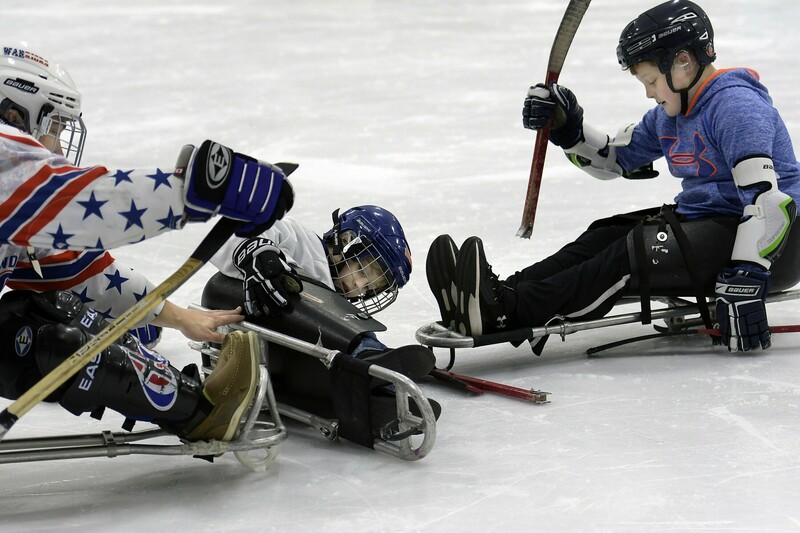 Kids play sled hockey during a free event Sunday at the Ice Vault in Hallowell. 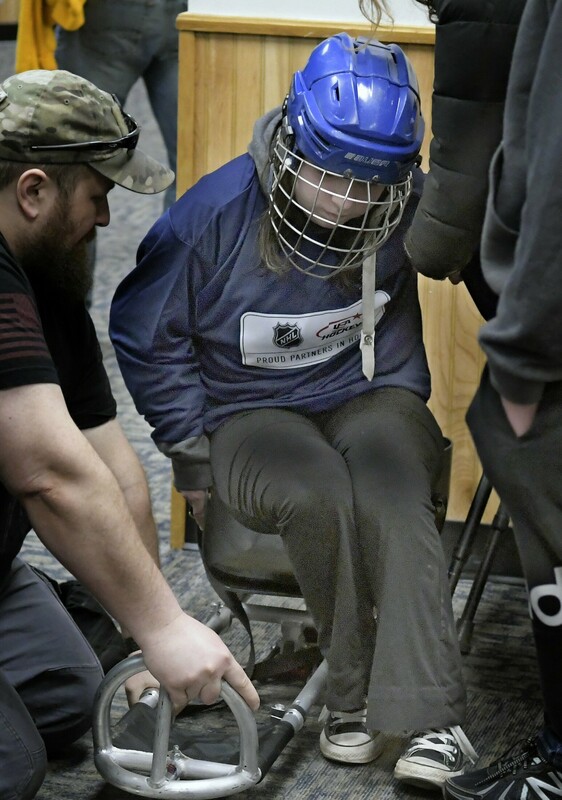 Xandra Malinowski climbs onto a sled to play hockey for the first time during a free event Sunday at the Ice Vault in Hallowell. 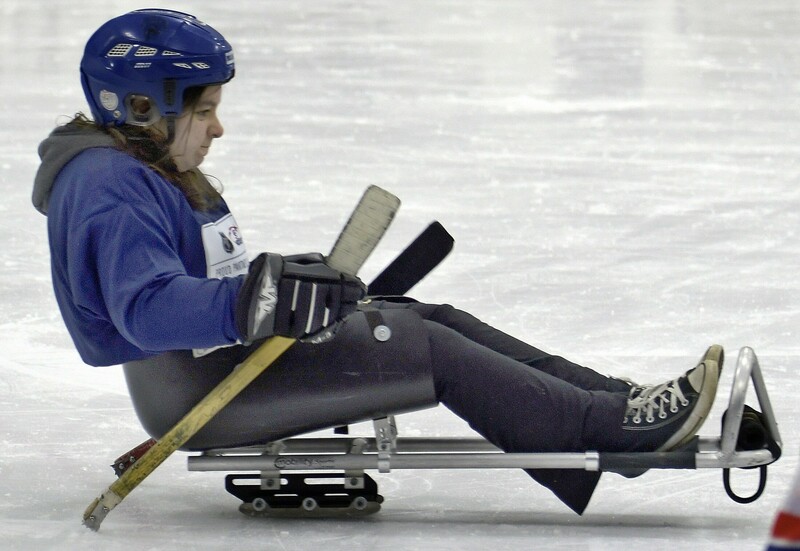 Xandra Malinowski skates on a sled while playing hockey Sunday at the Ice Vault in Hallowell. 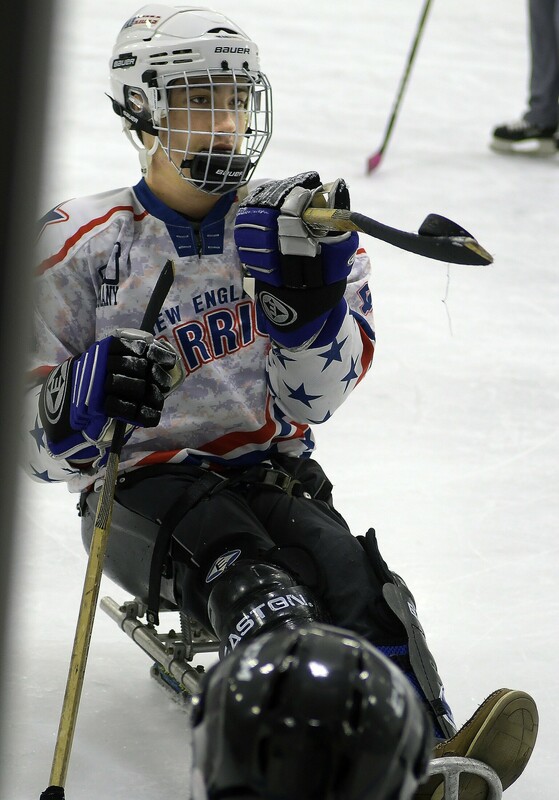 Kanah Kull flips a puck during a sled hockey game Sunday at the Ice Vault in Hallowell.